howdy skoolie peeps, long time no chat. have put 20k miles on rig and been fulltime for going on 9 months! loving it. 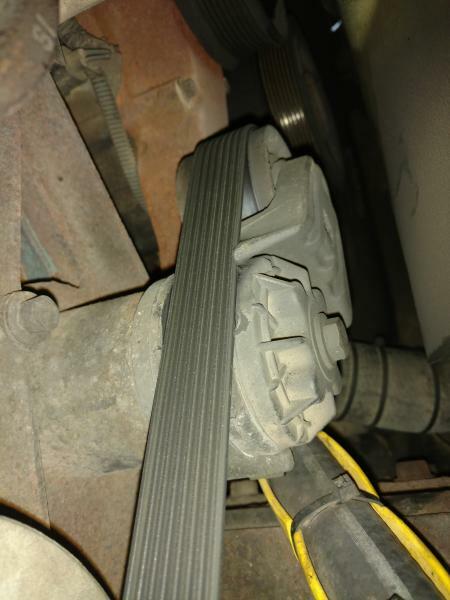 the serpentine belt is wearing INTO the tensioner arm itself??? when I changed my serpentine it took 3 belts before I got the right one, there is 3-4 listings for t444e belts, do you have the original one to compare it to? there could be one of the pulleys worn, or misaligned , when you changed the bearing, was there maybe a washer or spacer that didn't get put back on? Is anyone else having a problem grasping how rubber can wear away steel? I know!! that is the sorcery part that I spoke of!! I cant wrap my head around it myself.. I will try to take pic and post to my album now. at first I was thinking the pulley on the tensioner just wore to point of no more clearance, but its metal not plastic... pic going in album now guys. My first guess would be that the belt is too long (EDIT: I take it back. I think the belt is too short, which is pulling the tensioner down more than it should be). It may not be pulling the tensioner into it's proper operating location. Otherwise the tensioner is somehow on there incorrectly, which should be near impossible since it has a locating pin on the mating surface.. I know that on a Cummins, there are a couple of different positions that the tensioner can be set in. Could that one just be positioned incorrectly? I recall that when I replaced mine a couple years ago it only had one hole for the locating pin to go into, but the pin was nearly corroded right off of the backside of the old tensioner. I had to scrape the remaining magnesium out of the locating hole before I could install the new tensioner... Could be something to examine. I could see other accessory configurations having a multi position mount for the tensioner. My bus is a pretty basic model. Rubber belt acts in a similar manner as sandpaper. It essentially polishes away the aluminum (it looks like aluminum to me, not steel). As far as the issue, are you sure the belt is routed correctly? 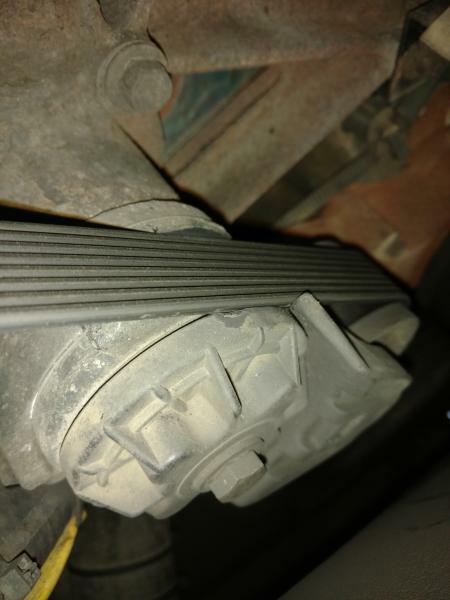 how much should the tensioner bounce at idle? I want a set of tires made from this rubber!! !